Tool from Google and OpenAI Shows the World Through AI Eyes « Adafruit Industries – Makers, hackers, artists, designers and engineers! 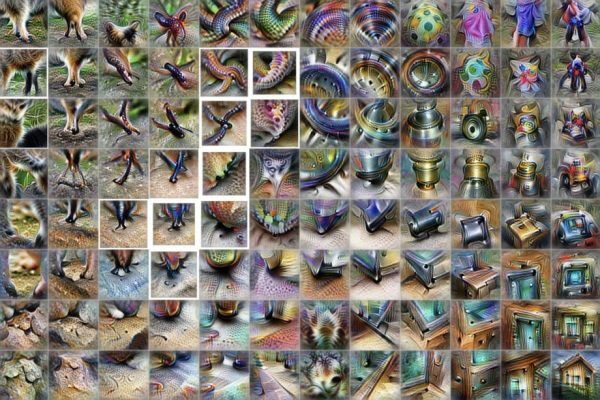 What does the world look like to AI? Researchers have puzzled over this for decades, but in recent years, the question has become more pressing. Machine vision systems are being deployed in more and more areas of life, from health care to self-driving cars, but “seeing” through the eyes of a machine — understanding why it classified that person as a pedestrian but that one as a signpost — is still a challenge. Our inability to do so could have serious, even fatal, consequences. Some would say it already has due to the deaths involving self-driving cars. New research from Google and nonprofit lab OpenAI hopes to further pry open the black box of AI vision by mapping the visual data these systems use to understand the world. The method, dubbed “Activation Atlases,” lets researchers analyze the workings of individual algorithms, unveiling not only the abstract shapes, colors, and patterns they recognize, but also how they combine these elements to identify specific objects, animals, and scenes.